You may have seen stories in the media regarding lead contamination of water supplies in Minnesota schools. Stillwater Area Public Schools regularly tests our water supply, as recommended by the Minnesota Department of Health (MDH). When water tests above recommended levels, we carefully follow MDH's rigorous guidelines for addressing lead in water. Learn more. Students and teachers are finding they have more space to move around in several newly renovated classrooms at Stillwater Area High School (SAHS). The work was part of the 2015 Bond, which was designed to improve academic opportunities for all of our students. Watch a video of work completed this summer at SAHS, Oak-Land, Lily Lake and Oak Park. You have opinions. Share them with us! Watch for an email coming later this week with an invite to participate in our first ever Thought Exchange. Thought Exchange is an online conversation that allows you to answer a few questions to share your thoughts and ideas about what's working in our schools and what's not working. In three simple steps you'll be able to share your ideas, read and consider other people's ideas, and help establish priorities for district leaders to consider in planning for the future. Findings will be shared with the community in mid-October. Be sure to lend your voice. There are many reasons to be proud of your Stillwater Ponies. 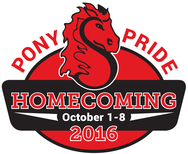 Homecoming is a time for all district residents to join the fun and show their Pony Pride! Join us in celebrating our exceptional students – past and present – during Homecoming Week, October 1-8. We'll be Painting the Town Red again and spreading school spirit across the district. Read more about all the fun activities we have planned. Congratulations to the Stillwater Area High School FFA Chapter for earning a blue ribbon in the FFA Landscape Design and Construction Competition at the Minnesota State Fair! Stillwater has earned a blue ribbon 25 out of the past 28 years. Read more. Junior bowling, Girl Scouts and Cub Scouts, scholarship opportunities & MORE! Check out digital Backpack for information about youth sports, activities, clubs, events and more!